I've managed to get more or less back on schedule with the fibre club, and packages should now be at most of their destinations, so I excited that I can now share this colourway with everyone. This colourway is inspired by Rachel Carson, an American marine biologist and conservationist best known for her popular books on the environment, particularly her 1962 bestseller Silent Spring, which is credited with jumpstarting the modern environmental movement, and led directly to a ban on the use of the pesticide DDT in the United States. I wanted to counteract the bleakness of Silent Spring with a lively springtime colourway - this one used a lot of colour mixing to get some more complex hues, as well as some unexpected juxtapositions of colours for something exciting. 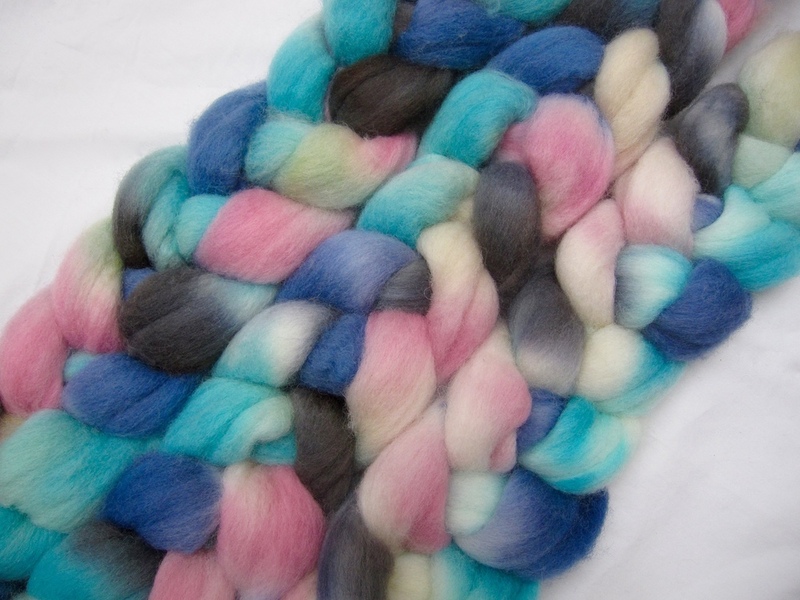 And since it's dyed up on one of my all-time favourite bases, I've already spun mine up! I split my 4 oz into three equal pieces, then spun one without any further prep, split one in half and spun them end to end and split the third piece into fourths and spun those end to end. This type of fractal spinning is one of my favourite techniques for tops that are highly variegated and have lots of contrast. I'm hoping my resulting chunky/bulky skein will knit up with some more subtle blending of the colours in the final fabric, but I've got to decide on the right project. It's nice and soft so maybe a cowl or a hat for next winter. 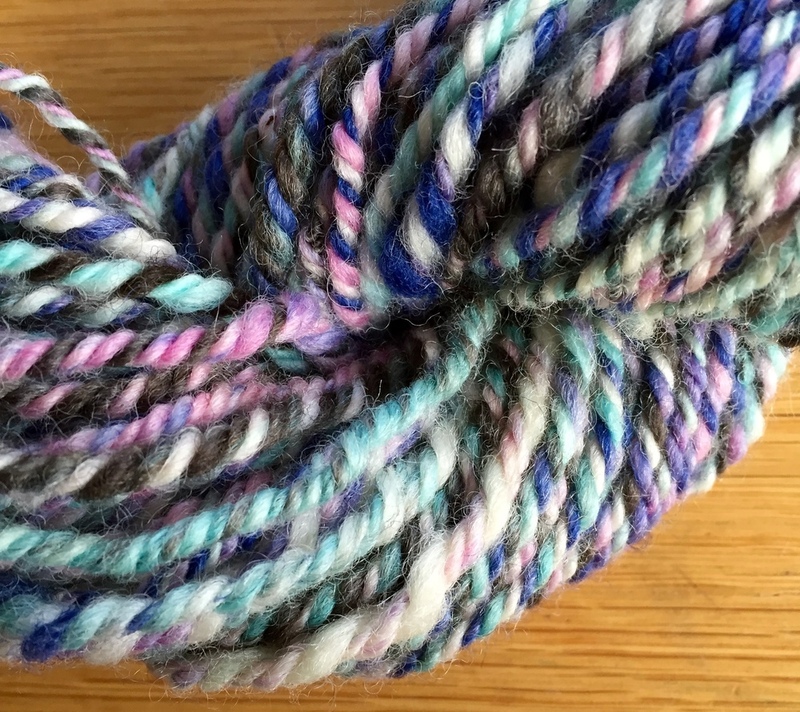 If you're in the club please share your spinning and projects as you go along, and if you've missed out on this quarter's sign ups, they'll open back up again on 1 July!